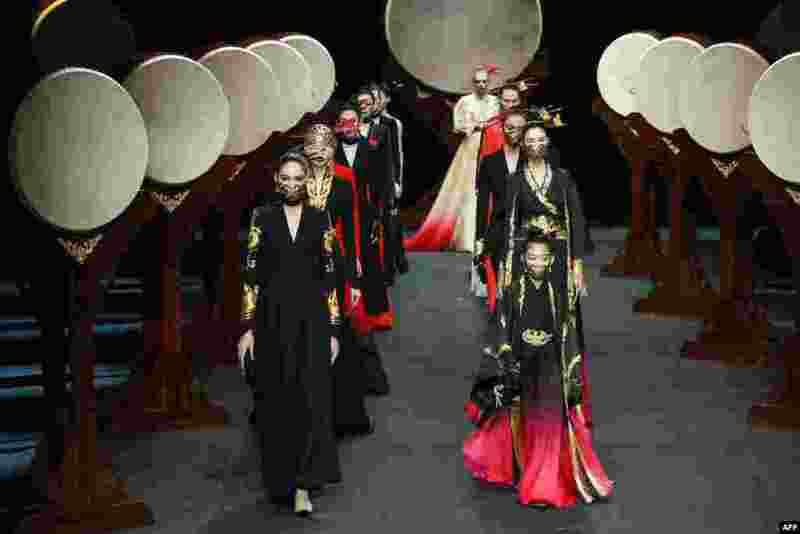 1 Models display creations from the "Heaven Gaia" collection by Xiong Ying during the China Fashion Week in Beijing. 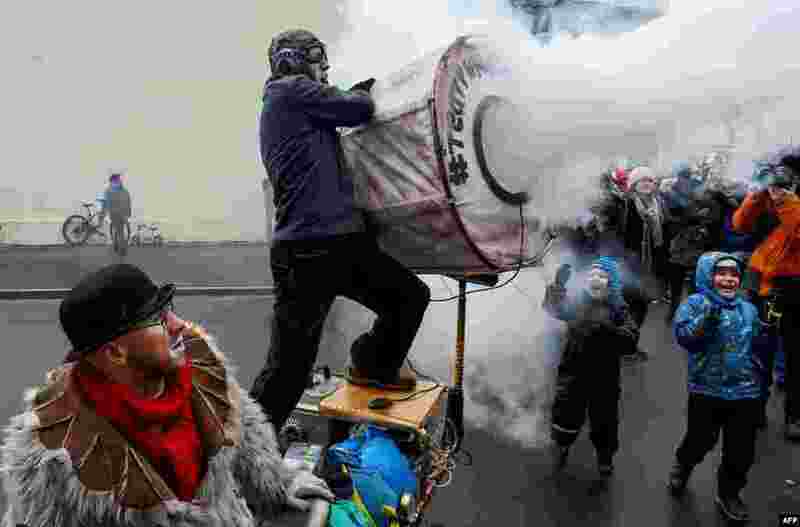 2 Clowns and mimes perform in Saint Petersburg, Russia, to mark the upcoming April Fools' Day. 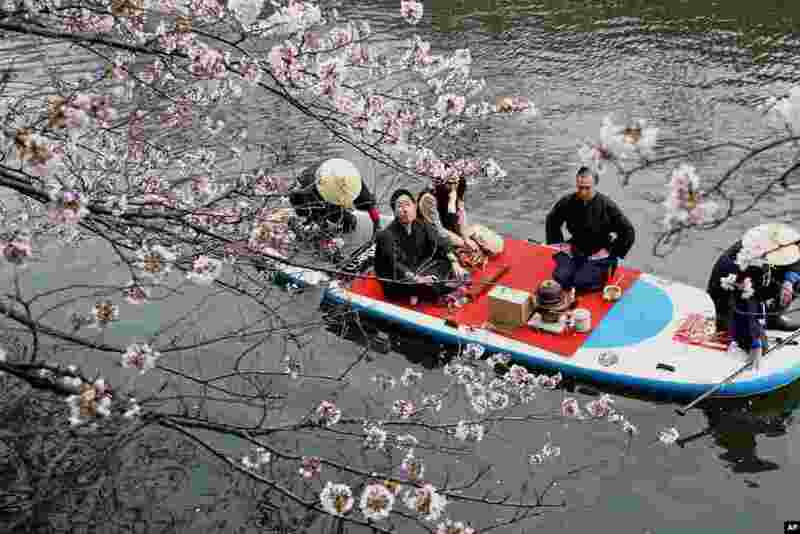 3 A couple on a boat admires cheery blossoms as they enjoy a tea ceremony in a river in Yokohama, near Tokyo, Japan. 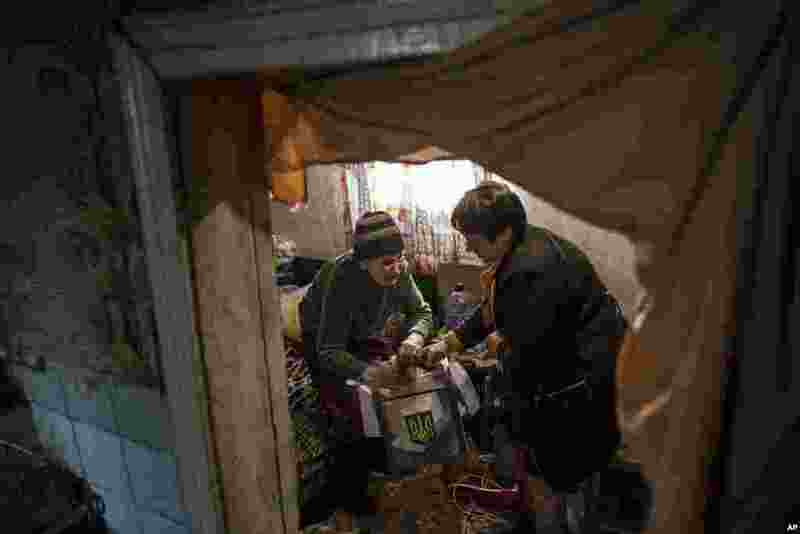 4 An elderly woman casts her ballot at home during the presidential election in Mariinka, near a contact line not far from Donetsk, eastern Ukraine.